This Multi-Touch book has been several months in the making. It is packed with interactive multimedia. 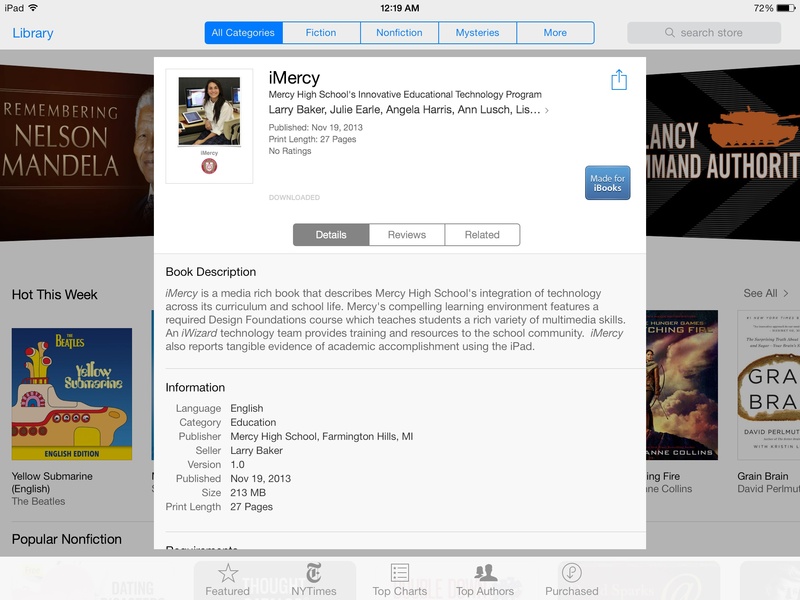 iMercy describes our school’s integration of technology across the curriculum and school life. The 27 page book features the iWizards tech team and our required Design Foundations course for ninth graders. One section is devoted to our unique professional development scheme for our 1:1 iPad program. Another reports on compelling evidence of success of our educational technology program. I think you’ll enjoy taking a look and listen. — L.B.